On Monday June, 18, 2018, Mr. Steve De Las, President, Evolving Tecknologies and Enterprise Development Company Limited (e TecK) signed a Memorandum of Understanding with Mr. Zhang Chuancheng, Deputy General Manager, Beijing Construction Engineering Group (BCEG) for the development of e TecK’s new Economic Zone, the Phoenix Park Industrial Estate. 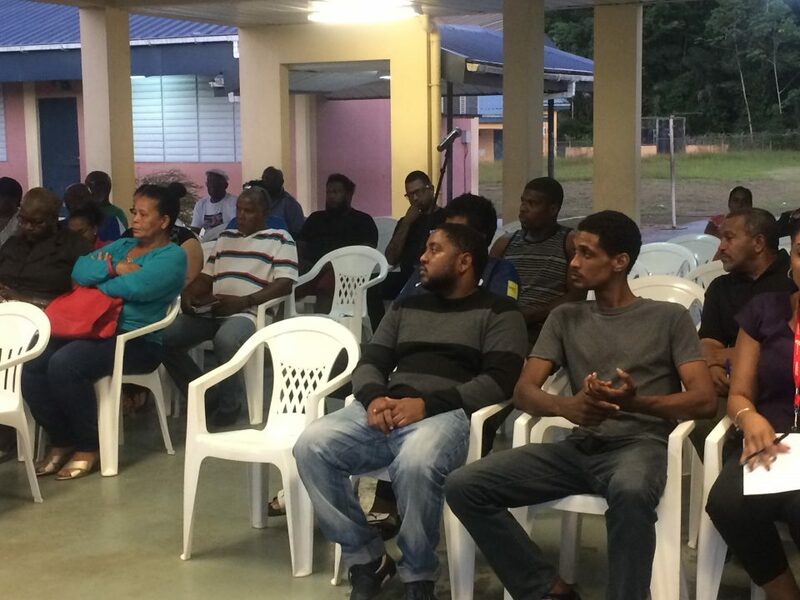 This is a major project involving the Government of Trinidad and Tobago and BCEG. 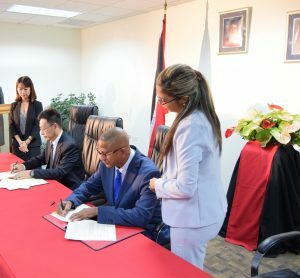 Vice Mayor of Beijing, His Excellency Wang Ning and e TecK’s line Minister, Senator the Honourable Paula Gopee-Scoon, Minister of Trade and Industry witnessed the signing of the MOU which will pave the way for new commercial and foreign direct investments into Trinidad and Tobago and further deepen the relationship between the two countries. Minister of Communications the Honourable Stuart Young and Senator the Honourable Dennis Moses, Minister of Foreign and CARICOM Affairs both delivered remarks at the signing ceremony. 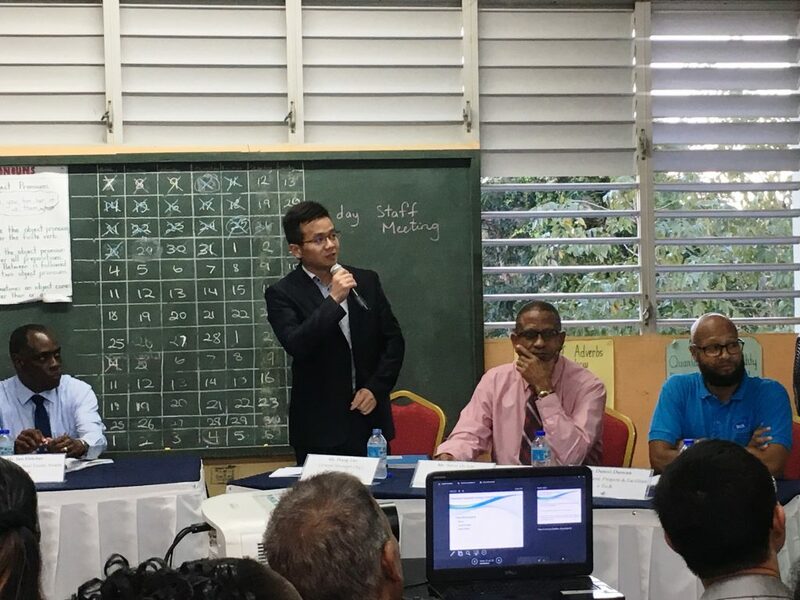 e TecK and BCEG’s representatives along with His Excellency Wang Ning toured the proposed site for the development of a new industrial estate at Phoenix Park, Point Lisas on Sunday, June 17, 2018. “Once fully operational, the new park would provide space for 60 to 80 factory shells, and directly employ over 4,500 persons with one thousand persons expected to be employed during the construction phase,” remarked Honourable Gopee-Scoon. 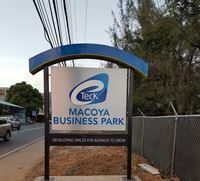 She also indicated that the development of the new industrial park should be completed within 12 months and one major international investor has already been identified for the site. She added that the park’s establishment promotes Government’s diversification efforts as it targets firms in the areas of high-value and light manufacturing, logistics/warehousing, and emerging industries – electronic technology, information technology, energy-saving ecological building materials and biotechnology. 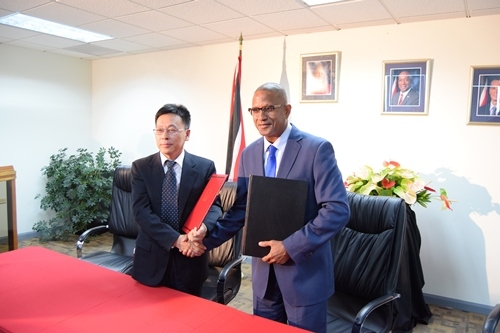 The Minister also shared that the Park will be financed through a loan agreement with the Export-Import Bank of the People’s Republic of China in the amount of US$104,295,000 and the BCEG has guaranteed the operations of at least ten (10) Chinese firms. To date, there is interest in the areas of manufacturing of glass powder, air conditioners and ceramics, paper converting operations, wood processing, communication equipment, building materials, integrated housing manufacturing and food processing. 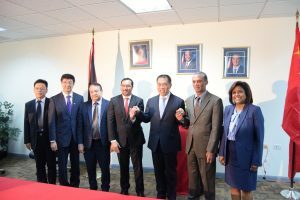 Further the company has committed to use 60% local labour among the total labour in construction and purchase at least 50% of the building materials in Trinidad and Tobago.